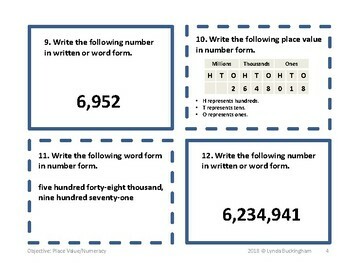 student answer document, two answer keys, number word list, and place value chart. 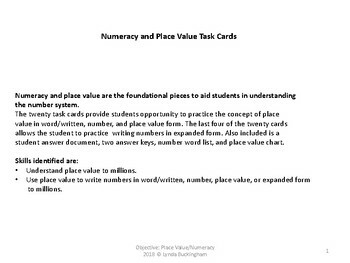 •Understand place value to millions. 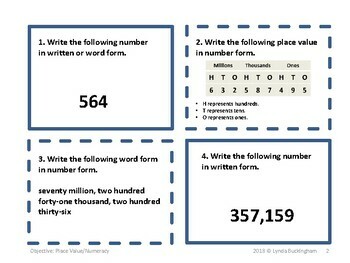 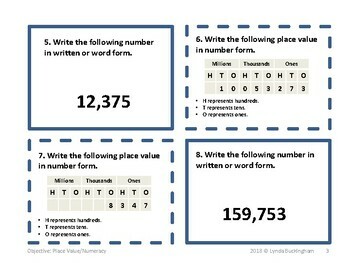 •Use place value to write numbers in word/written, number, place value, or expanded form to millions.